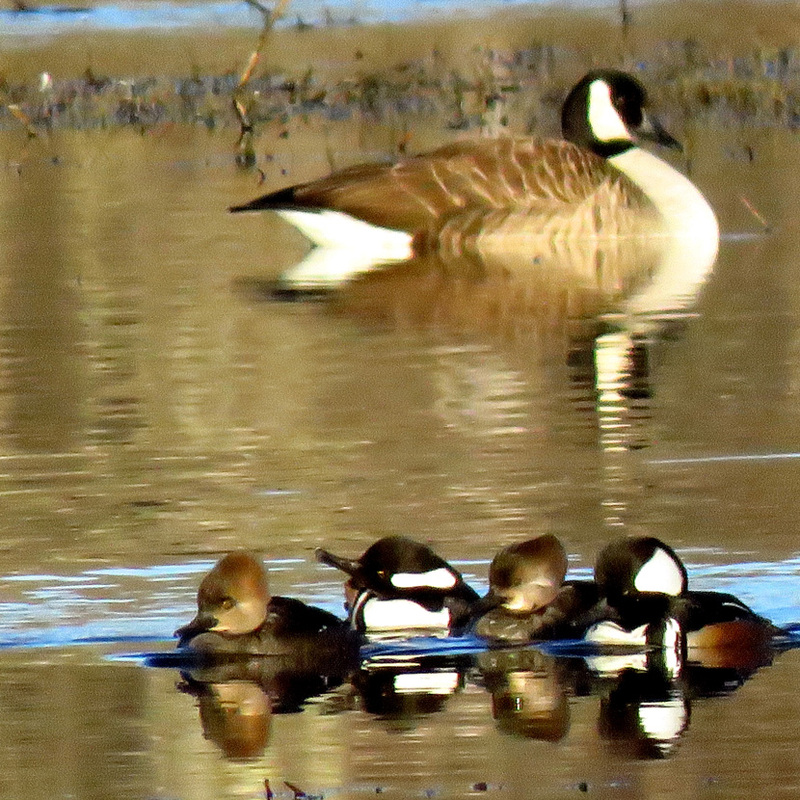 A Canada goose and mallards welcome spring on the floodplain. All photos by Ellen Kenny. Finally. 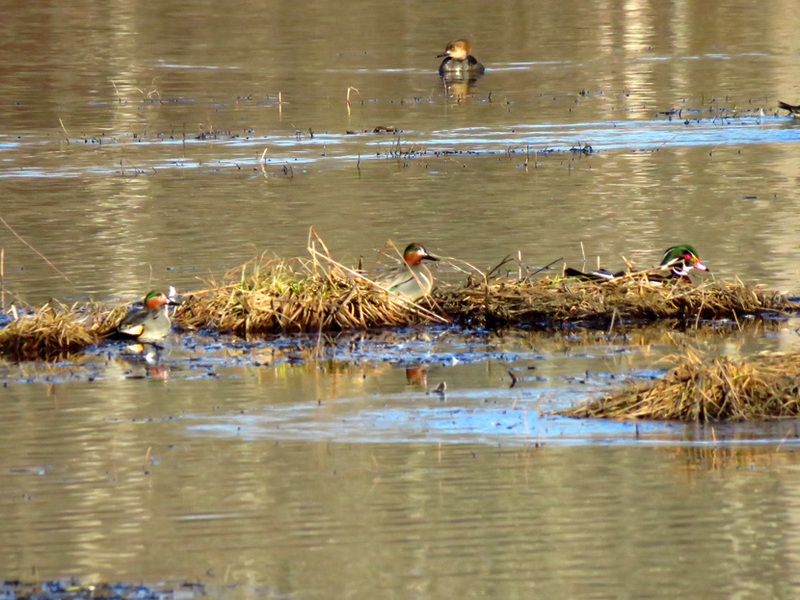 March High Holy Days of open water in the marsh: a congregation of raucous geese honking out hallelujahs, righteous gossip from the mallards, a choir of chanting redwing blackbirds with wood ducks wailing the soprano line, presided over from above, in full vestments, by the great blue heron. 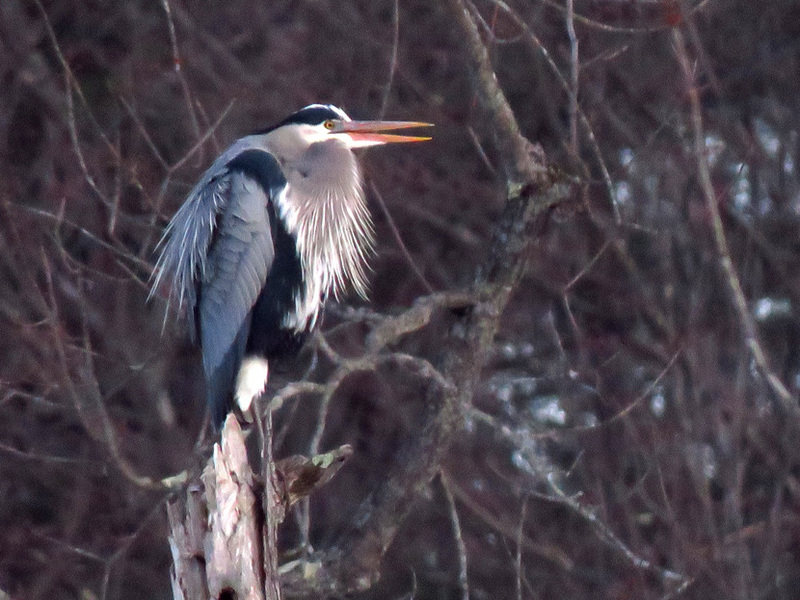 So much to see... Hooded mergansers and a muskrat in the Mill Brook, and a coyote weaving in and out the treeline on the far side of the cove. I had to run (as best I could in my spikes over the icy path) back to the parking lot, once again trailing the school buses to work. I’m always amazed at how quickly it happens—how we go from one or two bold cardinals, to this sudden cacophony of sound, with newcomers dropping in hourly for the celebration—and this is just the beginning. The red-winged black bird's conk-la-ree! call is a classic sound of spring. 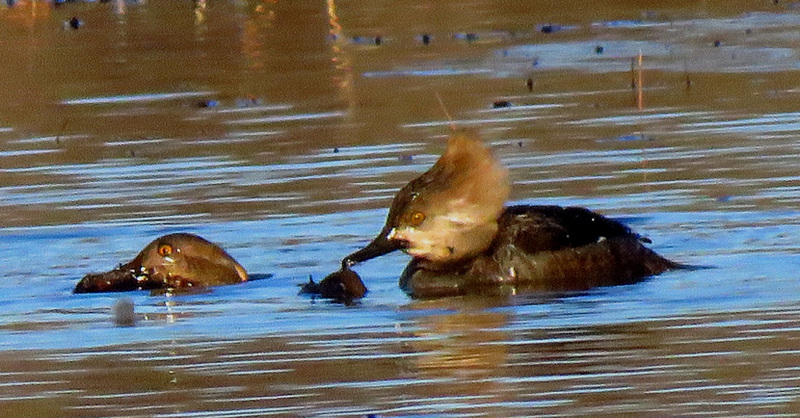 This merganser got a fish! 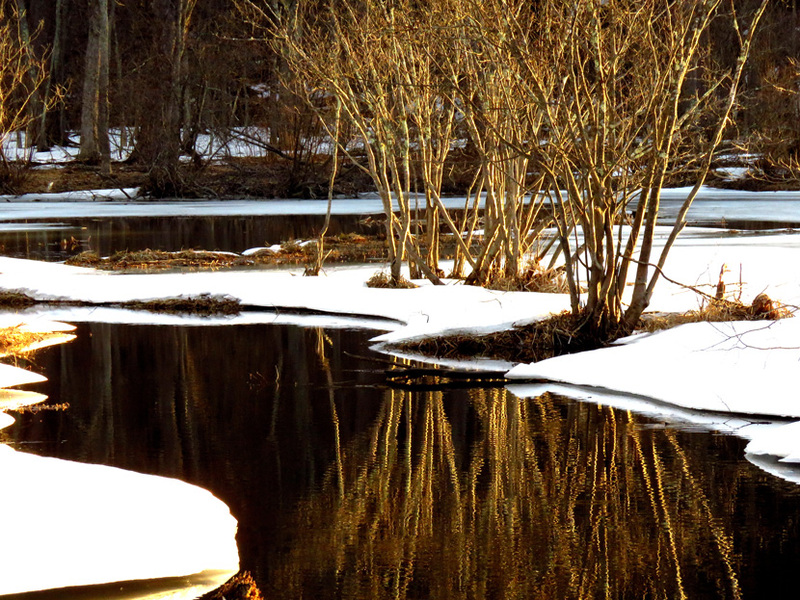 Ellen Kenny is a photographer and teacher who frequents the floodplain in Concord. Ellen volunteers with the Forest Society to share her observations throughout the year.